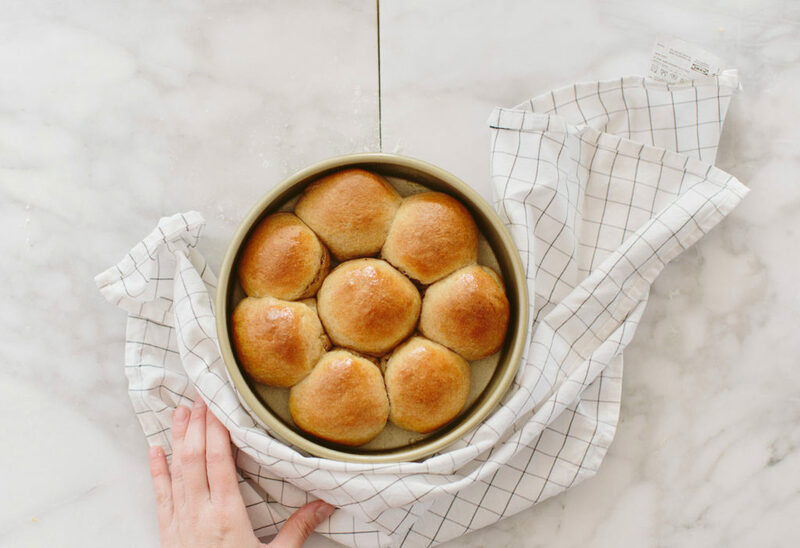 Soft pull-apart buns are a classic dinner accompaniment. 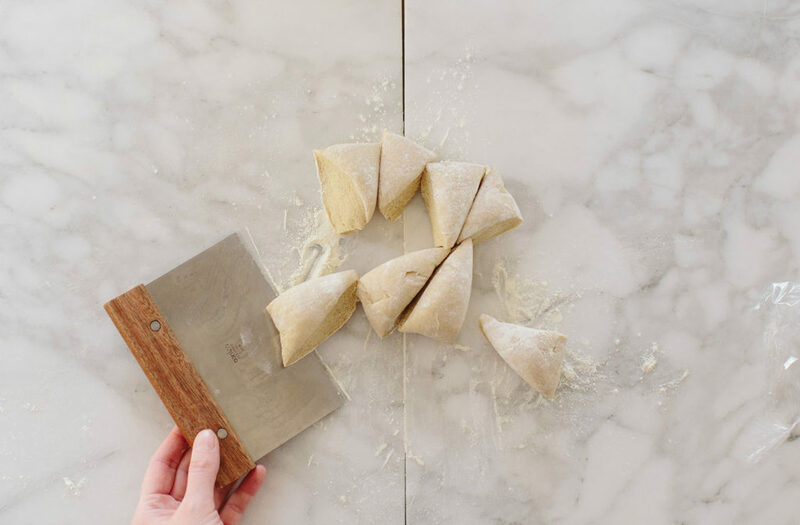 Known for their tender texture and delicious taste, they are a favorite for both adults and children alike. 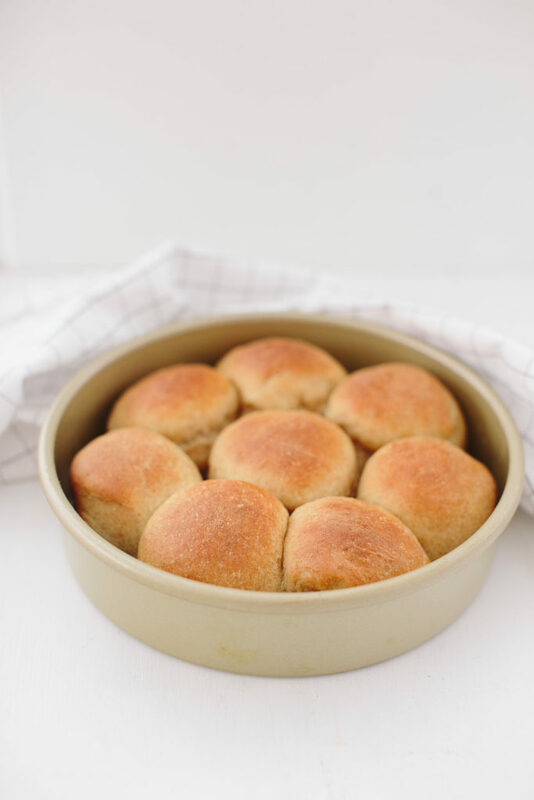 The whole wheat version of our BreadIn5.com recipe gives you a slightly healthier spin without compromising the great, buttery taste. 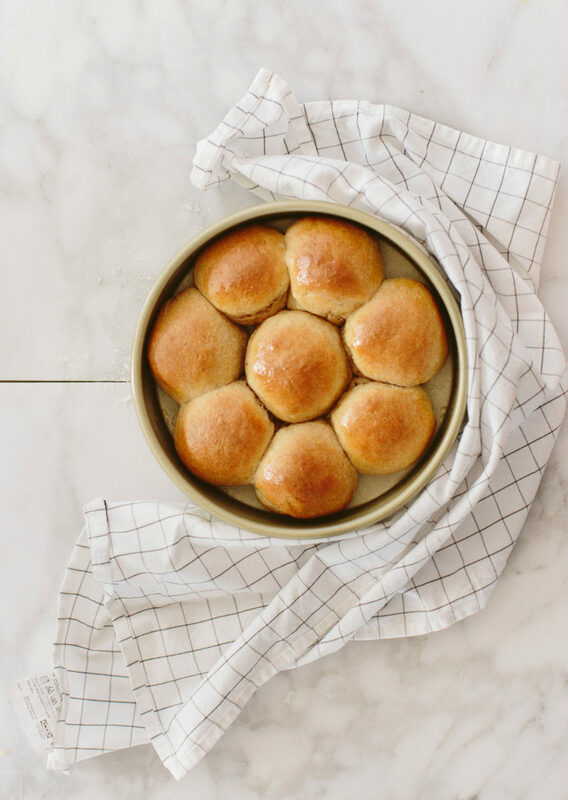 While they are easy enough to make any night of the week, these dinner rolls can also find their way to your Holiday table. 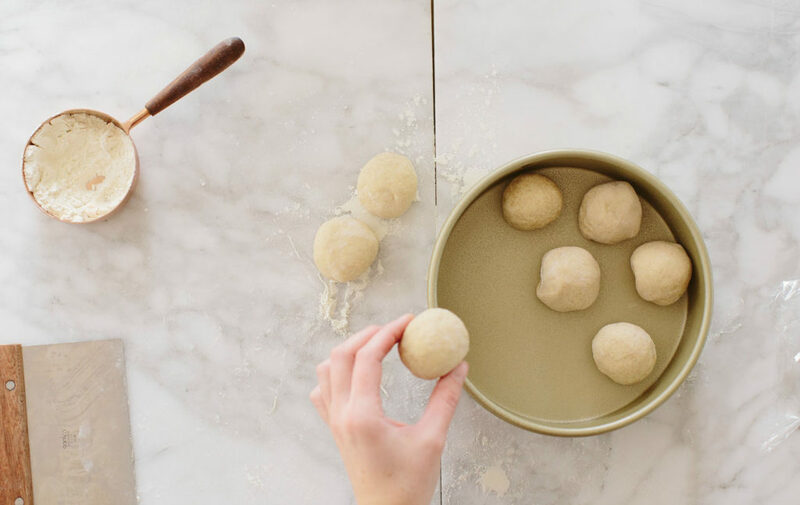 Mixing and storing the dough: Whisk together the flour, yeast, salt, and vital wheat gluten in a 5-quart bowl, or a lidded (not airtight) food storage container. 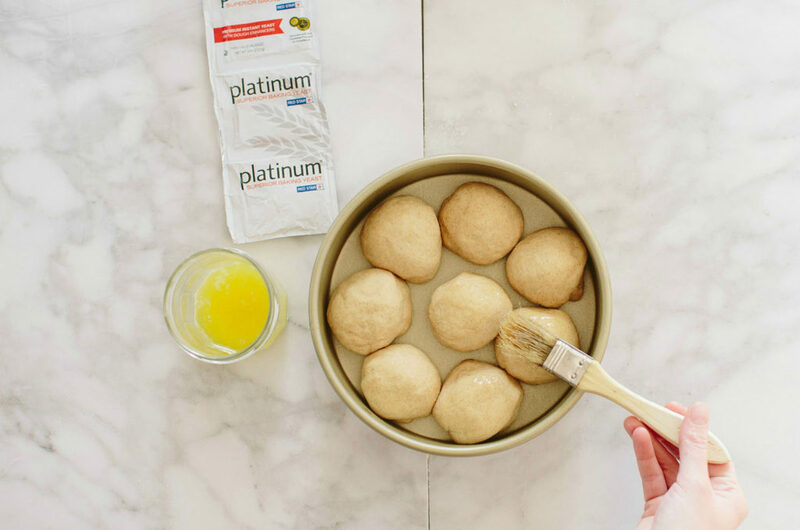 Combine the liquid ingredients and mix the wet with the dry ingredients using a spoon, a 14-cup food processor or a heavy duty stand mixer with paddle. The dough will be loose, but will firm up when chilled. Cover (not airtight) and allow the dough to rest at room temperature until it rises and collapses, approximately 2 hours. Refrigerate it for at least 2 hours before using. 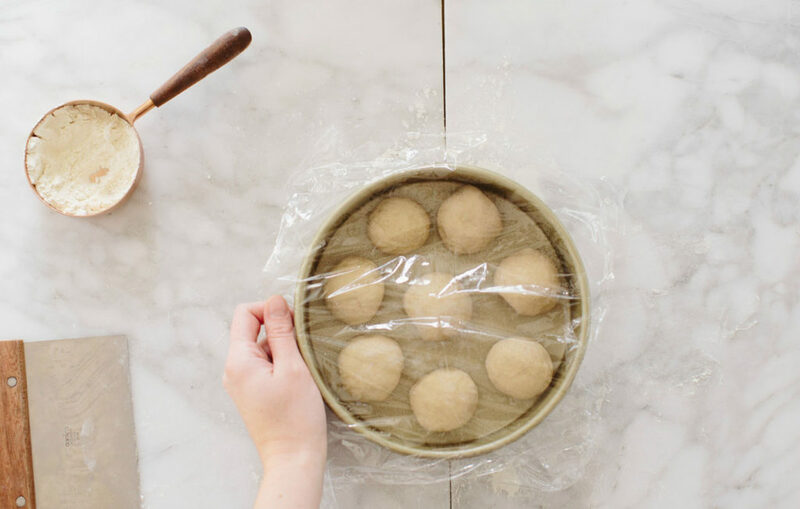 The dough can be stored and used over the next 5 days. 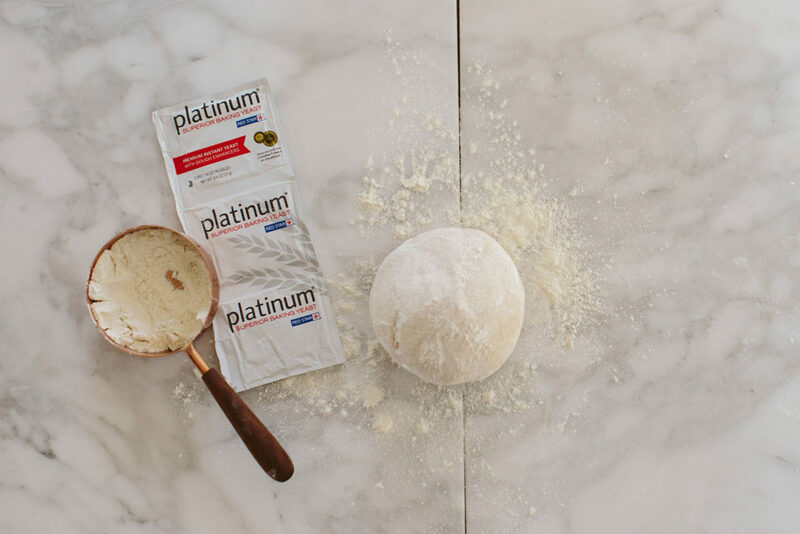 On baking day: Prepare a 9-inch cake pan by generously coating with butter. 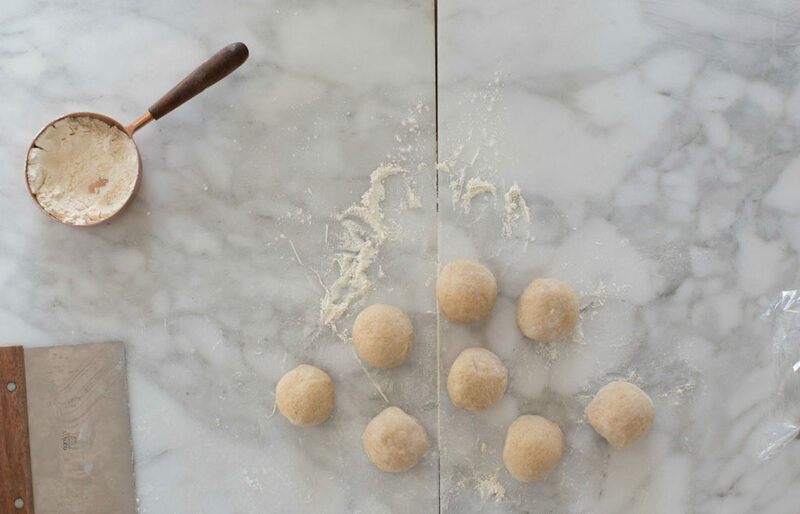 Take a 1 ½-pound piece of dough out of your bucket and divide it into 8 equal pieces. Roll into small balls. They should be about the size of small plums or golf balls. Cover loosely with plastic wrap. Allow the buns to rest about 40-60 minutes. Preheat the oven to 350°F. Paint the tops of the buns lightly with egg wash using a pastry brush. Bake for 25-30 minutes. Bake for 25-30 minutes, depending on the size. They should be golden brown. Immediately brush the top with butter to keep the crust soft. Allow to cool slightly and serve.